Ujjwala Rai ’19, a chemical engineering major, has spent the summer studying bacteria found in the root systems of plants that can remove atmospheric pollution. Plants that absorb pernicious pollutants from the air itself? Ujjwala Rai ’19, a chemical engineering major, has spent the summer studying bacteria found in the root systems of plants that can remove volatile organic compounds (VOCs), industrial compounds emitted by ubiquitous products such as paints and fuels, into the atmosphere. 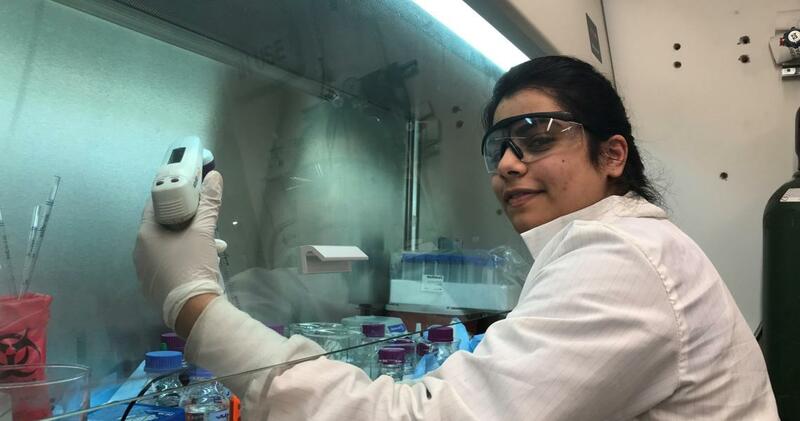 To better understand how these bacteria can thrive in a variety of soil-less media, she has worked closely with professors from the College of Architecture and Design (CoAD) and the Department of Chemical Engineering. Anthony Yacoub ’19, an industrial design major, tapped the expertise and guidance of professors from the Department of Physics and CoAD to develop a collaborative robotic fleet capable of cave exploration, urban rescue and disaster relief. His team adapted their design as a real-time drama – the complex cave rescue of a youth soccer team in Thailand – unfolded. Rai and Yacoub are just two of the nearly 140 students working with NJIT professors in labs this summer; the majority are presenting their research at NJIT’s 11th International Undergraduate Summer Research Symposium, a showcase jam-packed with applied research across more than a dozen sectors. The campus community is invited to attend the symposium in the Campus Center, where 95 posters will be on display in two sessions.